Central Committee member at time of Revolution, became Russian ambassador to Germany after the revolution. Committed suicide after being imprisoned for “leftism” in 1927. His wife Maria, also a leading Bolshevik, survived in labour camps until after Stalin's death, and published her autobiography in the 1980s. Adolph Joffe was born in Simferopol, Russia, on 10th October, 1883. The son of a wealthy merchant, he became involved in revolutionary activity while a student in the late 1890s. Joffe joined the Social Democratic Party in 1903 and the following year became involved in smuggling political propaganda to Baku. He moved to Moscow during the 1905 Russian Revolution. The following year he was forced into exile. He lived in Berlin before being expelled from Germany in May, 1906. Joffe now moved to Vienna where he edited Pravda with Leon Trotsky. He often visited Russia and in 1912 he was arrested and after spending ten months in solitary confinement before being exiled to Siberia. In 1917 Joffe escaped from Siberia and made his way to Petrograd. He was elected to the Petrograd Soviet and the Bolshevik Central Committee. 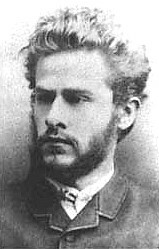 During the October Revolution Joffe was the chairman of the Military Revolutionary Committee. 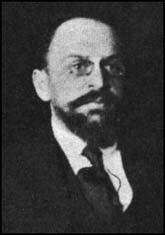 In December, 1917, Joffe went with Leon Trotsky as a member of the Russian delegation at Brest-Litovsk that was negotiating with representatives from Germany and Austria. They had the difficult task of trying to end Russian participation in the First World War without having to grant territory to the Central Powers. By employing delaying tactics Joffe and Trotsky hoped that socialist revolutions would spread from Russia to Germany and Austria-Hungary before they had to sign the treaty. After nine weeks of discussions without agreement, the German Army was ordered to resume its advance into Russia. On 3rd March 1918, with German troops moving towards Petrograd, Vladimir Lenin ordered Joffe and Trotsky to accept the terms of the Central Powers. The Brest-Litovsk Treaty resulted in the Russians surrendering the Ukraine, Finland, the Baltic provinces, the Caucasus and Poland. When Leon Trotsky took control of the Red Army during the Civil War, Joffe replaced him as Commissar for Foreign Affairs and carried out negotiations with Turkey and Germany. While in Berlin he was accused of planning a communist revolution and was expelled from the country. Joffe was a loyal supporter of Leon Trotsky and after Joseph Stalin gained power was sent him abroad as a diplomatic. In 1927 Joffe was one of the few leading Bolsheviks who was willing to defend Trotsky. After the expulsion of Trotsky from the Central Committee, Joffe decided to commit suicide. Adolph Joffe died on 16th November, 1927. In 1904 I was instructed by the Central Committee to convey literature to Baku and to conduct propaganda there. I joined the Baku SD organization, but I had to leave Transcaucasia in the same year to avoid arrest, and I was sent to Moscow for the same sort of work. I was soon exposed there, too, so I took refuge abroad, where I arrived immediately after the events of 9 January 1905. I straightaway returned to Russia and took part in the Revolution in various towns. Joffe was a man of great intellectual ardour, very genial in all his personal relations, and unswervingly loyal to the cause. In connection with the activities of the Pravda Joffe went to Russia for revolutionary work. He was arrested in Odessa, spent a long time in prison, and was later exiled to Siberia. He was not set free until February 1917, as a result of the revolution of that month. In the October revolution which followed he played one of the most active parts. Joffe tried to make his death a service to the same cause to which he had dedicated his life. With the same hand that was to pull the trigger against his own temple half an hour later, he wrote the last evidence of a witness and the last counsel of a friend. I have never doubted the rightness of the road you pointed out, and as you know, I have gone with you for more than twenty years, since the days of 'permanent revolution'. But I have always believed that you lacked Lenin unbending will, his unwillingness to yield, his readiness even to remain alone on the path that he thought right in the anticipation of a future majority, of a future recognition by everyone of the rightness of his path. Politically, you were always right, beginning with 1905, and I told you repeatedly that with my own ears I had heard Lenin admit that even in 1905, you, and not he, were right. One does not lie before his death, and now I repeat this again to you. But you have often abandoned your rightness for the sake of an overvalued agreement or compromise. This is a mistake. I repeat: politically you have always been right, and now more right than ever. Some day the party will realize it, and history will not fail to accord recognition. Then don't lose your courage if someone leaves you know, or if not as many come to you, and not as soon, as we all would like. You are right, but the guarantee of the victory of your rightness lies in nothing but the extreme unwillingness to yield, the strictest straightforwardness, the absolute rejection of all compromise; in this very thing lay the secret of Lenin's victories. Many a time I have wanted to tell you this, but only now have I brought myself to do so, as a last farewell. Jogiches, Leo (1867-1919, also known as Tyszka, Grosovsky, Johannes Kraft, Otto Engelmann, Krumbagel, etc., 1867–1919) . Born in Russia, Jogiches was an early agitator for workers in his home, Lithuania. In 1890 he escaped prison by fleeing the country and emigrated to Switzerland where he began a long political and personal relationship with Rosa Luxemburg who was to be his partner until 1906 and his comrade-in-arms until her death. Founded with her Polish Social-Democratic Party, which he led in emigration from Germany from 1897. Returned to Poland in 1905, played important role in Revolution, arrested and sentenced to six years hard labour, escaped, returned to Germany. Broke politically from Lenin on some Russian Party questions immediately before War; sharp conflict with Radek about Polish Party. Member of internationalist nucleus in 1914, co-editor of Spartacus Letters, organiser of Spartacus League, supported entry into USPD. Arrested in March 1918, set free by the Revolution, became a leader of Zentrale. Opposed foundation of KPD(S) and immediate break from USPD. Elected to Zentrale at Founding Congress. Opposed Liebknecht’s policy in January 1919, and called upon him, unsuccessfully, to repudiate it publicly. Arrested and murdered in March 1919 ‘whilst trying to escape’. Helped in organising rail strike in 1877. Assisted Eugene Debs in 1896. From 1895-1923 (sic! ), itinerant organiser for the Miners Union. 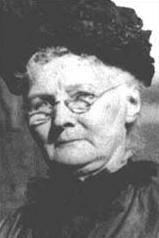 Such was her reputation that union locals formed and won their demands simply on news that Mother Jones had arrived. Participated in founding of IWW in 1905. Also assisted dressmakers' struggles in New York, women prisoners, and led a march of child-workers on Washington which forced the passing of legislation against child labour. Jailed many times. Died 1930. English proletarian poet and political writer. Leader of the left wing of the Chartists. Co-editor of the Northern Star, editor of Chartist papers. Son of a British officer. Educated in Germany. Called to the Bar. Became a Chartist in 1846. A first-class orator who rapidly became famous. At the Chartist Convention of 1848 he was a delegate from Halifax and was elected a member of the Executive Committee of the Chartist Party. In July 1848 he was sentenced to two years' imprisonment for his revolutionary activities. After his release in 1850 he became the leader of the Left wing of the Chartists. From 1852 onwards he edited the Chartist People's Paper, of which the first number appeared in May 1852. The paper continued until 1858. Jones's best period was 1851-53 when he was under the influence of Marx.